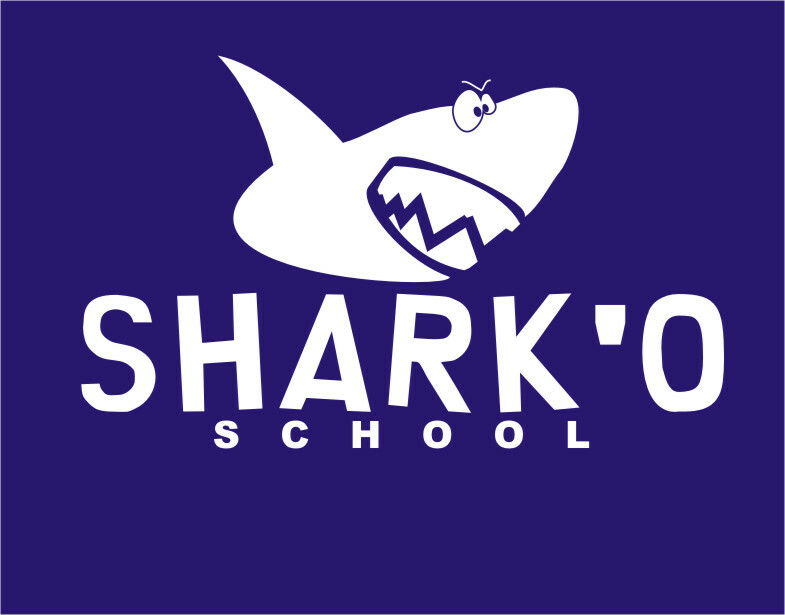 SHARK'O SCHOOL: Help us! We want to play. Games are a funny and useful way of learning, aren't they? Uno de los juegos que solemos utilizar en clase es el Trivial. Desde aquí os proponemos que nos ayudéis a aumentar nuestra colección de preguntas. Enviad las vuestras. How many players are there in a basketball team? How many legs has a spider got? Remember to write your question in ENGLISH! Publicado por sharkito en 8:10 p. m.
I like the idea... but will you pay us for the job? I'm kidding. 1. How old are the Shark'o School teachers? Un pero: queremos jugar al Trivial, no organizar un "Salsa Rosa" casero. So, please, send questions on general knowledge. We’re looking forward to your next question! - Literature & English Language. En cuanto a lo de pagar, la cosa está difícil. No obstante, si nos hemos planteado dar un premio a los alumnos de la academia que aporten más preguntas y a los alumnos que aporten las mejores. Which the longest river in Spain? Ytahisa: yours is a good question, but there's a little mistake on it. Can you find it? Dunia: I really don´t know what the fastest animal is, but I can tell you I was very fast after breaking something as a child. So, is "Miguel" the right answer? Muchi: That's a very difficult one. I think I can mention two or three... but I'm not sure. Please, help. Let's see if you know something about Spanish football. SPORT. Who are the fattest players in Real Madrid? I.As a long time,what food were considerate importan to be inteligent for you similarity a one cerebrum? Dear sorpresa, sorry we haven't commented your post before. I think that you meant "Long time ago"
With the word "food" you must use a verb in its singular form (was instead of were) since it is uncountable. Be careful with your spelling. (I know that young people don't care too much when they send text messages but spelling is important. (not "importan"; intelligent, not inteligent). Let's consider these mistakes as typing mistakes, this time. Study the possessives. (for its similarity to a brain). When you don't know a word, use the dictionaries in the side bar. Anyway, thanks a lot for your contribution. Go on! We are so glad that you are using the blog! How many champions leagues has Real Madrid won? - Who was the first Lara Croft in a movie? - Choose the right option. 1. Plays Messi for Barcelona? 2. Messi plays for Barcelona? 3. Does Messi play for Barcelona? 4. Does Messi plays for Barcelona? what color is the flag of china? When´s the big festival in your town? What color is the flag of Central African Republic? What color is the flag of Togo? Luis Mi, remember to use capital letters for countries and nationalities and at the beginning of a sentence. Antoñito, don't be so lazy! I know you have copied the question from your book (I saw you). Yours is a good question but it isn't the most appropriate to play Trivia (unless all the players are from the same town or you know all the possible answers). Miguel: the Central African Republic.